Looking for a quick and easy breakfast? 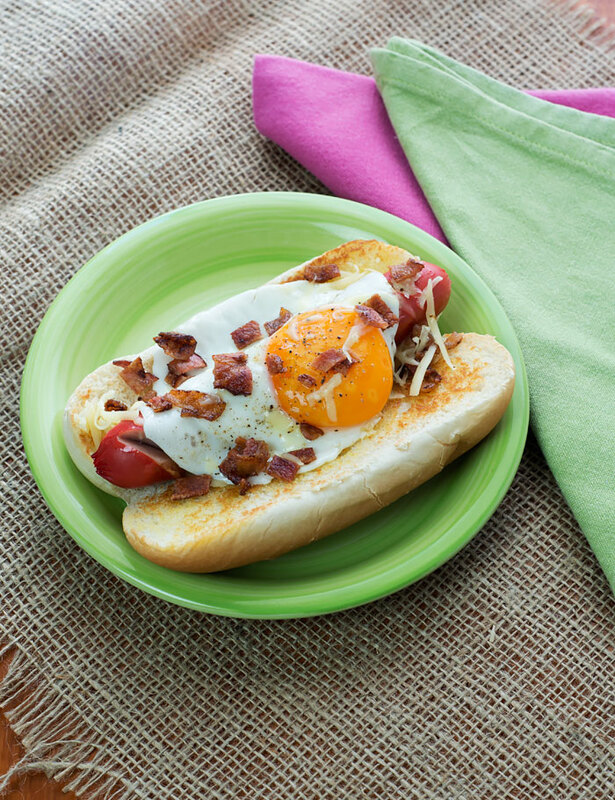 Top a hotdog with an egg and crumbled bacon. Kids love it. Slice just the edge of the hotdog bun on both sides, butter and toast in the skillet until golden brown and set aside. Make shallow slashes in the hotdog on two sides and place in the skillet with a few drops of oil and cook until lightly browned. In the same skillet, add one egg and fry to your desired doneness. Place the cooked hotdog in the bun and top with grated cheese, then top with the egg and finally with the crumbled bacon. You could also add green onions, chopped tomatoes or herbs.